Knowing how to build your online audience is critical to your business. Why? You must have an engaged audience so when it comes to selling your next service, coaching, program or event you’ll have a community of people who’ll buy from you. But before you jump into the latest “how-to” Facebook or Insta strategies take a minute to look more deeply. A lot of the “how-to” guides leave out some vital “must-ask” questions if you want to be successful in building an online audience that will buy from you. 1. Who is my audience and what matters most to them? If you don’t know the answers to these questions then it’s likely you don’t know enough about your audience. The success of your business is based on how much you know about your audience – when you know who they are and want they want you’ll be able to create services and products they need. For this reason, your audience should be at the centre of every decision you make. To find out more about your audience check out my blog post here. It will give you the low-down on exactly how to learn more about your audience. In this post, I lay out a simple, straightforward strategy. Click here to get it. 2. What do my people like to share and why? Knowing what your people are sharing online is vital … once you know this you can then create more content that they love, which in turn will help you solve the question of how to build an online audience that will buy from you. 84% Support a Cause – We share because it’s an easy way to support a cause bigger than ourselves. One example of this was the ALS Ice Bucket Challenge, which raised US$115 million in 2014 and drew a huge amount of awareness for the cause. It was an extremely clever social media strategy because it engaged people in supporting the cause and it entertained them (see below). 49% Entertainment – This is why there are so many cat videos out there. And that’s why that ALS ice bucket challenge worked so well because it provided huge entertainment value. My husband and sons were very funny when they did it!! 78% Relationships – People share to stay connected with people they know. I came onto Facebook years ago when my school reunion was on – people said: ”Oh we need you on Facebook so you can be updated on what’s going on”. I’m still connected with them to this day as a result of that first event! 69% – Self-fulfillment – People share because they want to feel involved in the world, with things outside of themselves. I know some people who share a lot because it’s an easy way to demonstrate their commitment to different causes. 68% – To define themselves – This is to give people a better sense of who they are, what they care about and where they are going. At the moment a friend of mine is sharing gorgeous images of his weekly meal preparation as he seeks to lose weight. We cheer him on and this helps keeps his inspiration up. So I’d like you to really think about why people in your community might be sharing. If those are the reasons why people share on social media – take a look at what your audience is sharing now and work out what category they may fall into. Once you’ve worked this out – start to prepare content you think that best suits them. 3. Am I pushing information out or am I having a meaningful two-way conversation? When you’re thinking of how to build an online audience it’s easy to fall into the trap of pushing ALOT of information out in the hope that someone will respond. That strategy can lead to a lot of frustration – believe me. Let me tell you that the best way to actually engage your audience is to start to have a conversation with them – to ask them what is most important to them. How do you do that? By asking questions and starting conversations. These questions can’t be all about your next product. They need to be about what matters to your audience. If you ask the right questions they can also give you some great clues about your audience so you can tailor your next product or service to their needs. To find out what questions have worked for me in my business, and in many others, click here to access my How to Engage Your Tribe – 27 Questions to Engage Your Community. Would You Like to Know More About How to Build Your Online Audience? 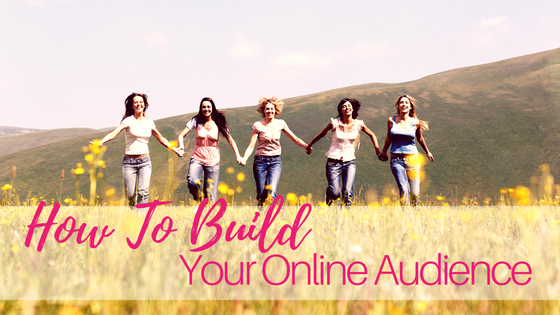 If you’d like to know more about how to build your online audience right now join my Facebook Group: Fearlessly Authentic, Focused and On Fire with Jen Ramsey. 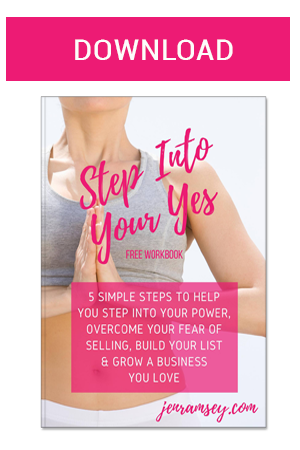 My group is all about helping you shine your light and manifest and market a business you love. If you want access to free workshops, Q&A sessions and a bunch of amazing purpose-driven entrepreneurs join me now! And to really start to engage your audience in a great conversation click here to access How to Engage Your Tribe – 27 Questions to Engage Your Community.